It gives us great pleasure to bid a warm welcome to all of you to the Malaysian Diabetes Educators Society (MDES) Conference 2019 in Kuala Lumpur. Diabetes care is multidisciplinary, involving various healthcare professions. MDES brings together healthcare professionals caring for people with diabetes through an enriching conference held annually, aiming to improve the life of people affected by, and at risk of diabetes. 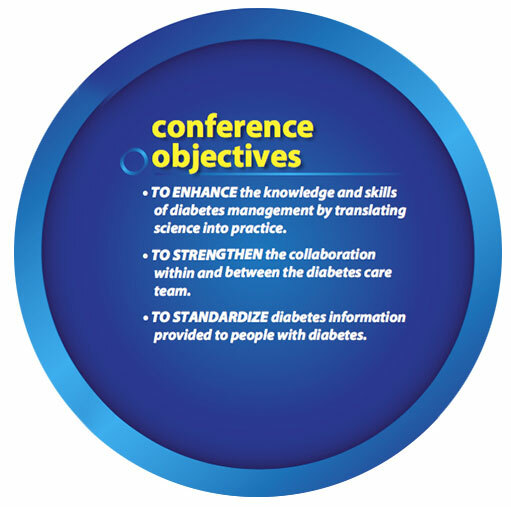 The committee strongly believes that this conference will enable participants to translate science into practice, in order to deliver individualized care in management and prevention of diabetes. Prevalence of diabetes in this region has seen a rapid growth over the last decade. In Malaysia, the prevalence of diabetes has unfortunately seen a skyrocket increment to an alarming 17.5% in Malaysians aged 18 years and above (NHMS 2015). This conference establishes and strengthens the collaboration between members of the diabetes care team to standardize information on diabetes provided to people living with the disease. Hence, this year, we have a comprehensive line up of plenary sessions and symposiums on the importance of patient-centered diabetes education, diabetes education in the digital age, exercise, new therapeutic agents, innovative food preparations for diabetes control, diabetes and its relationship with other diseases, footcare in diabetes and other evidenced-based practices. This conference is a great avenue for healthcare professionals to share their experience with experts and have hands-on demonstrations as well as participate in interactive case-based discussions during the workshops. We are honoured to present to you two renowned international speakers to enhance our scientific deliberations. Prof. Dr. Juliana Chan from Hong Kong, and Ms Natalie Wisher, from Australia. Professor Juliana Chan is passionate in the field of diabetes management. Natalie is a credentialled diabetes educator who has extensive experience and in-depth knowledge of incorporating technology into diabetes education. In addition, we are also joined by many experts who serve in Malaysia and have outstanding backgrounds in their field. All the members of the Scientific and Organising committee look forward to your participation in this intriguing and enlightening conference. We are sure that all of you, as vital members of the diabetes care team , will have a profound and exciting experience with the workshops and experience-sharing during this conference. Let our motto be: Together, we provide better diabetes care. How to Reduce Recurrent DKA in Children?